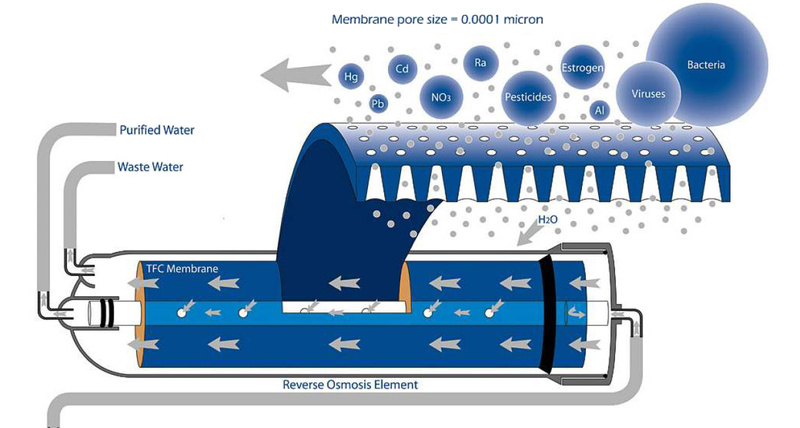 Reverse Osmosis is a process in which dissolved inorganic solids are removed from a solution such as water. This is accomplished by household water pressure pushing the tap water through a semi permeable membrane. The membrane allows only the water to pass through, not the impurities or contaminates. These impurities and contaminates are flushed down the drain.